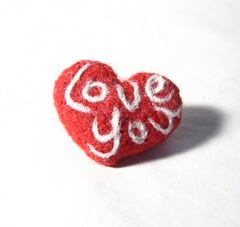 This pattern is available for £2.92. 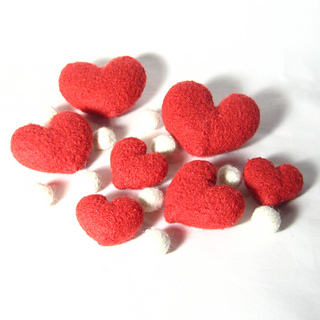 These three sizes of knitted felt hearts combined with the felt beads can be used in many creative ways. String them together to make garlands or wall hangings. 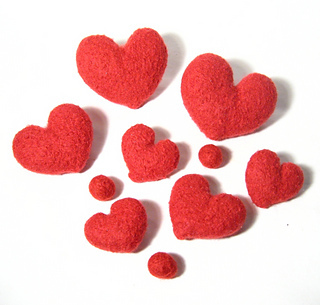 Embellish them with needle felting, buttons and beads to give them your own personal touch. 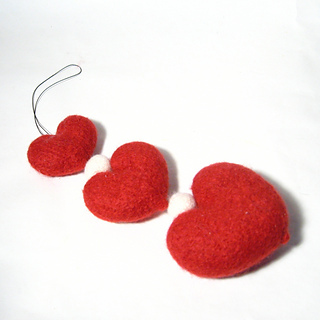 Each heart is knitted flat in a single piece with a back seam, only basic shaping is used to don’t be scared if you are a beginner knitter! 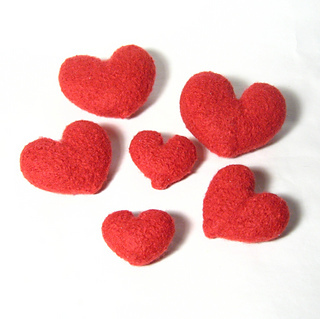 These hearts and beads are quick to knit, then magically transformed into thick soft felt by a ride in your washing machine! Please make sure your chosen yarn is a suitable for felting. Choose yarns which are 100% virgin wool and labelled as hand wash only. 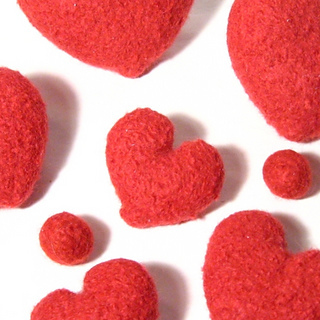 Most yarn companies now specify if their yarn will felt easily. You will also need- polyfibretoy stuffing.